James L. Berger is a shareholder resident in the Fort Lauderdale office of Berger Singerman. 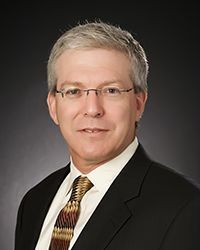 Mr. Berger is Co-Chief Executive Officer of the firm, and practices on the Transaction Team. Mr. Berger represents both lenders and developers in real estate restructuring matters and lenders, buyers and sellers in multimillion-dollar complex loan transactions and refinancing. Mr. Berger’s recent experience includes the acquisition, construction financing and related entitlement work for a $70 million office tower, a 350 unit apartment complex and proposed residential communities, including a 1200 acre/1600 home community in Hillsborough County, a 500 acre community being developed in St. Lucie County, and currently involves work on the acquisition of a proposed 800 acre fly in/fly out community including a self contained FAA and Florida Department of Transportation licensed airport. In connection with the development projects, Mr. Berger has worked with various governmental agencies to establish public parks, create public roads, conservation areas, establish utility easements, and create construction and right-of-way easements for public roads, and project infrastructure. Certain of the projects have also involved the establishment of community development districts and financing of infrastructure through the issuance of tax free bonds. In addition to his development related work, James has recently been involved in significant real estate transactions, including the acquisition and financing of a $72 million high rise office tower and separate parking structure (constructed in part on 2 separate ground leased parcels) in downtown Miami, the sale of a $130 million office complex in downtown Ft. Lauderdale, the acquisition of an $80 million office park and an adjacent $15 million dollar development tract, the acquisition of air rights above the Florida East Coast Railway, and related construction and maintenance easements, for the development of a high rise condominium project in downtown Miami. In his leasing work, Mr. Berger has been involved in the negotiation and preparation of leases involving office and retail space, ground leases for development parcels and short term leases for the storage of construction vehicles and materials.